I drew this as part of my comic in 2008. 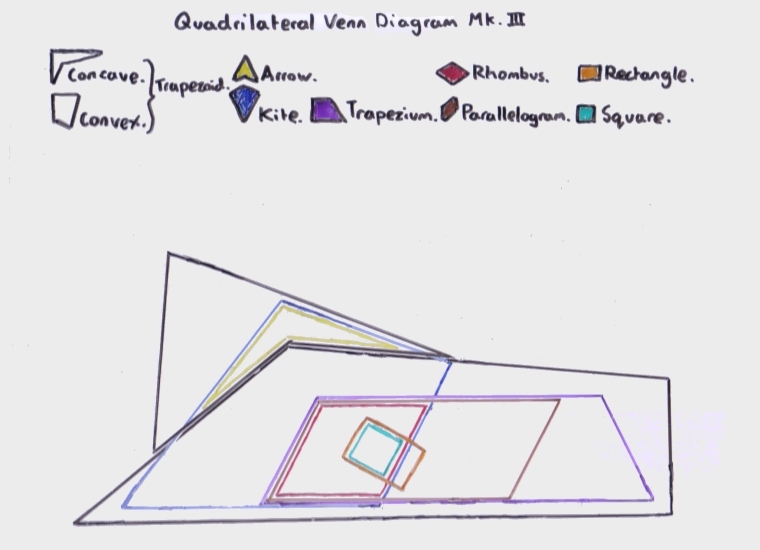 The image is a venn diagram of all the different types of quadrilateral, however the shape of each intersection is also the shape that intersection describes. This took several hours of redrafting, especially when I only remembered the convex quadrilaterals once someone pointed them out to me. I drew this on a small A4 whiteboard and scanned it directly into my computer.